Chicago is the biggest city in the Midwest which attracts a good amount of tourist during the summer time. Chicago is also called windy city and winter is so cold and freezing in Chicago. Sometimes you literally feel that the wind is pushing you towards its direction but summers are pleasant and exciting. If you haven’t explored Chicago yet then you haven’t seen some incredible architectures of United States. Chicago is known as architecture capital of the United States. Besides architecture, you will find so many activities to do like shopping, waterfront dining, live performance shows of music, opera or comedy. 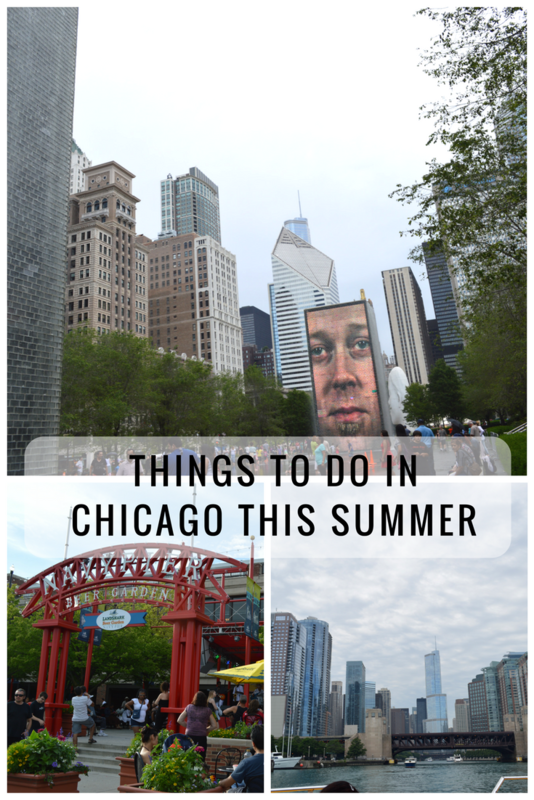 Check out “things to do in Chicago this summer” for the whole list. The name of the city “Chicago” came from a Native American word “Shikaakwa” means “wild onion”. Chicago offers a full package of excitement, energy, Adventure and endless fun. There are a number of places which gives you an amazing and breathtaking view of the city. You can explore the river and vintage architecture of Chicago. There are plenty of options to try different cuisines or you can enjoy nightlife if you want. As there is no parking spot at each and every place do prefer public transportation, cab, walking or biking. Wear comfortable shoes because you gonna walk for few miles. If you are planning to explore Chicago then at least spare 3-4 days. Prepare your itinerary so you don’t waste time to go back and forth. Be ready to wait in line because there will be rush due to summer vacation. Navy Pier is the place where you can spend a whole day and still you feel you missed few activities. Even I have been to Navy Pier more than 5 times. I believe Navy Pier is top visited landmark in the Midwest. The best thing about Navy Pier is it has something for everyone. It offers amazing rides which make your head right round but my favorite is Ferris wheel because the view of downtown is amazing. You can enjoy guided boat tour or dinner cruise it’s your choice. You can explore Chicago’s rich history, famous architecture and of course an amazing skyline through boat tour. The architecture boat tour will give you the chance to know about different constructions done in Chicago downtown, which includes a Trump tower and the new Post office building is the greatest architecture among all. If you don’t like boat tour then, there is a food court which offers a variety of food and you can choose according to your taste. There are plenty of things to do for kids. It has a game zone, Chicago children’s museum, Crystal Gardens which interest kids and they can have fun. In summer you will find live music at Beer garden and try some local beer. The John Hancock Center is observatory near Navy Pier which gives the stunning view of Lake Michigan. If you know then this is the place where window tilts outside from 94th floor. This is a fun experience which you will not get anywhere. The John Hancock Center Observatory is also called 360 degrees Chicago. You will get a magnificent view of Chicago all around. I would suggest you visit this observatory around sunset time, so you can get a daytime view as well as night time view where you can see the beautiful lights of Chicago. Don’t forget to visit Signature Lounge for an incredible view. The Chicago river walk gives you the opportunity to walk along the Chicago River and you can also experience riverfront dining. There are plenty of activities to explore Chicago River. You can do kayaking or take a riverboat tour. I am a big fan of bridges and river walk gives chances to explore all bridges along the side of the river. You can also find plenty of public space to sit and enjoy the breeze. As per the sources, Millennium Park has opened in 2004 to the public. It is the largest public space in the heart of Chicago and also most popular among the tourists’ local people. The Millennium Park is famous for “Cloud Gate” which is generally known as a bean. Besides this bean, I also like the Boeing Gallery and crown fountain. The Boeing Galleries serve as an open-air exhibition for art and sculpture. A crown fountain is a fun place for kids. You will see lots of kids enjoying water splashing at this fountain area. This tower has multiple names I call it Sears Tower. This tower has 110 floors and you can see this building from boat tour as well. The observatory is open on the 103rd floor. When I have visited Sears Tower there were 2 hours waiting to reach the top but thank god to my city pass I spent less time in waiting and more time on deck. You might have visited other high-rise buildings in other cities as well, but this one offers you a different experience. You must be thinking how? It has Ledge’s glass box which extends 4.3 feet from the building. That means you can see the road from the glass floor and after seeing that many people freak out. I went with my friends and one of them has fear of height and she was not able to step out on that glass floor. This observatory is also known Sky deck. Shedd Aquarium is a gift to Chicago city by John G Shedd. The Shedd Aquarium is family adventure place. Kids will love to explore different sea animals and other mammals in the exhibit. Shedd Aquarium combines the best of early 20th century characteristics with 21st-century touch. I really loved the dinosaur sculpture placed in the main lobby. If you are in love with space and science than there is a perfect place for you. This place attracts younger to older everyone enjoys learning about science. I would advise at least spare half a day and if you have enough time than spare one day. They have different shows regarding solar system; earth, moon & sun; Telescope observation etc. It also has café where you can get refreshment. This fountain donated by Kate S. Buckingham in honor of her brother Clarence. It is considered as Chicago’s Landmark and located in the Grant Park. The Fountain runs from 8 am to 11 pm daily from May through mid-October.